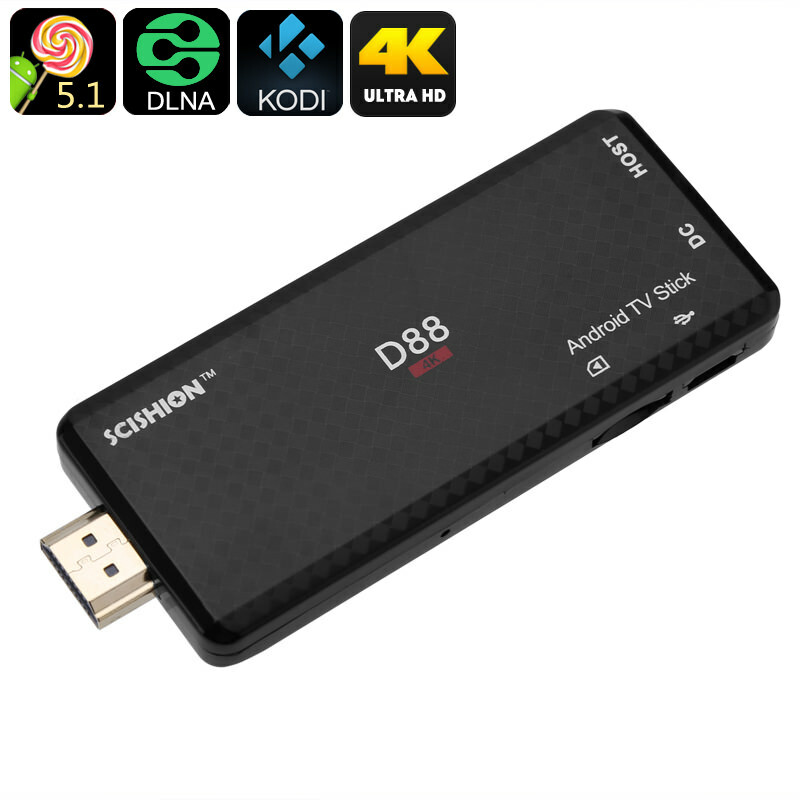 Packing a sophisticated quad-core CPU that has been clocked at 1.5GHz, and Android operating system, this Scishion D88 TV stick is capable of handling games, films, as well as TV applications without dropping a frame. Providing you with access to the Google Play Store and Kodi TV, a never-ending pool of free entertainment lays at your disposal. Capable of decoding 4K resolution, this TV stick turns any room equipped with a television into your own private cinema.